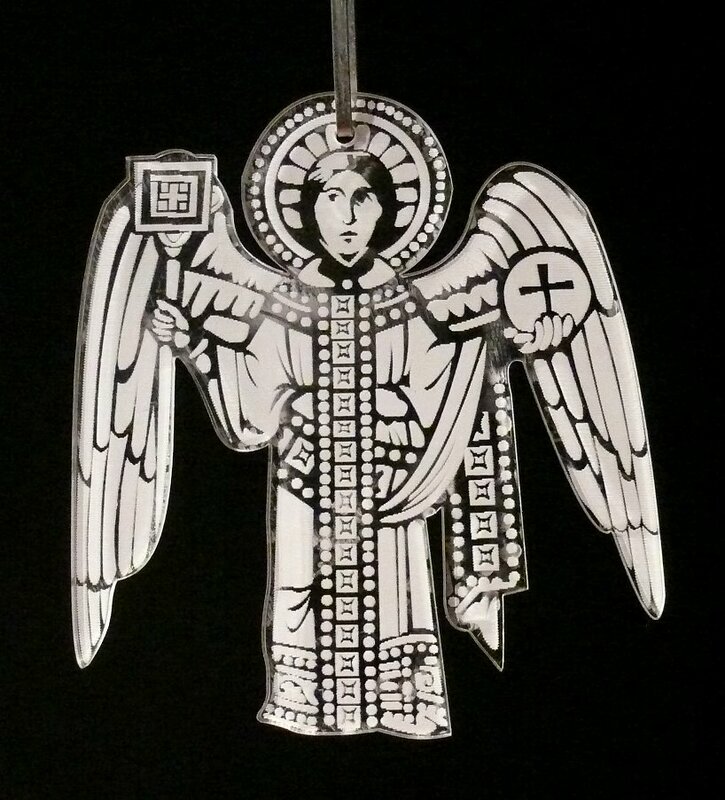 A hanging ornament featuring an angel, based on a window design in Strasbourg Cathedral. Engraved on clear acrylic. 9.5cm halo to hem.